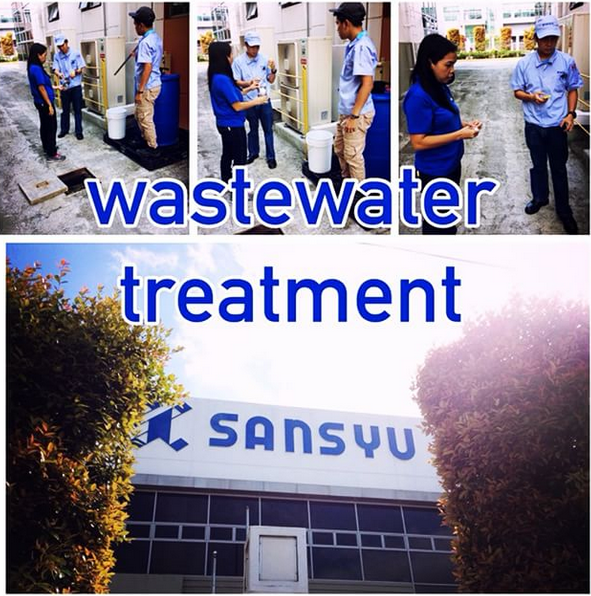 Wastewater is water that had already been used in residences and commercial or industrial establishments. As such, its base quality has already been changed by human activity and is considered to be too polluted to be used. However, with a looming worldwide water shortage shortly, most governments and businesses are looking into new technologies and processes that can reduce and reuse waste water. While waste water coming from homes, aka grey water, is relatively easier to recycle, treating waste water coming from restaurants, hotels and resorts are a bit more challenging. Wastewater from restaurants, hotels and other establishments are different because it contains high levels of organic matter, like oil and grease. For this kind of waste, a different waste water treatment has to be used. Our company, Redox Chemical Industries, have developed enzymes that can be used on oily or greasy wastewater exuded by large enterprises or factories so that waste water can be reused. Maintain clean and usable water. Arguably one of the most significant benefits of wastewater treatment is maintaining clean water that can be reused. One of nature’s jobs is to purify water, but it is a slow process so governments and companies should help move things along. One major benefit of waste water treatment is the reduction of waste that’s being released in the environment, thereby improving it. This, in turn, helps people’s health and the country’s economy. The process of treating waste water filters and removes contaminants that can cause illness. It prevents disease-causing bacteria from getting into other water sources and the ground, where it can harm plants and animals. Waste water treatment starts a process that will end in reusable water and an improved economy. By helping the environment and minimizing the chances that people are exposed to disease-causing bacteria, the amount of money that a country would spend on battling pollution, rehabilitating the environment and treating people will be considerably lessened. Wastewater treatment also requires processing plants that would require maintenance and people to run it. Continuous research is also needed to keep improving the system. This would create numerous jobs that are badly needed in most countries. The waste matter or sludge that’s collected during the water treatment process can also be treated as it holds much biodegradable material. Most treatment plants would place the sludge in specially designed, fully enclosed containers where an anaerobic bacteria is introduced. The containers are then heated to 35 degrees Celsius, and the sludge will create a significant amount of methane that can then be harvested and utilized to generate electricity. In turn, this can make wastewater treatment facilities self-sustaining. The extra energy can also be funnelled into a country’s national grid, thereby lessening dependence on fossil fuels. The al-Samra wastewater treatment plant in Jordan is a perfect example of this system. According to Jordan’s government officials, 40% of the energy the facility uses comes from the methane from the sludge. These benefits are a good argument to push for making waste water treatment a perfect solution to the world’s water crisis, which will gradually worsen as the world’s population continues to grow. With the rise of numerous restaurants, hotels and other commercial establishments, it becomes crucial that countries invest in waste water management facilities that can process waste water.